Culture – in order to change, to grow, to eliminate inefficiencies, and to improve patient care your culture must focus on or allow changes to achieve these outcomes. It is essential that you understand your culture – this is not expressed just in words in a mission or value statement but more likely in deeds. Stating your values around quality care, respect, etc. is not the true culture. It is what occurs, activities, tasks and daily words used that creates and defines your culture. Take a serious look at yours. Value – we talk about Lean principles are built on the concept of adding value to the customer. Value-add activities and tasks built into your culture will lead your business to be successful. Eliminate non-value add activities! Imagine if you made an effort to add value to someone or something every day and this attitude became pervasive throughout your business. Rule of 5 – in Lean programs we talk about the FIVE whys. A great set of questions about why you or one of your fellow employees is doing something or doing it in a certain way. You can always improve by asking your self why. Slightly different is the Maxwell rule of 5 but it built on the same principle. Work to improve daily, and focus on five steps or ways that you can improve. Do it daily. Finally, Maxwell talked about the importance of working together as a team. Work in a positive culture that encourages growth, that allows you individually to grow and at the same time improve the outcomes of your team. It was amazing to hear him talk about so many of the keys that we identify in our belt programs! 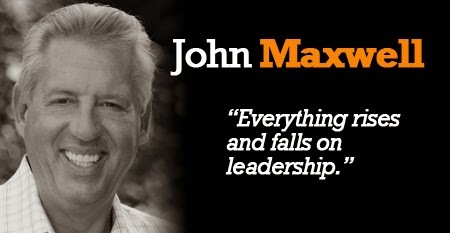 John Maxwell the leading expert on “Leadership” was the Monday morning keynote and what a great presentation. It was build around his 15 Invaluable Laws of Leadership. One of his laws it that of INTENTIONALITY. Growth doesn’t just happen! We often talk about our experiences as part of our growth. Do you have twenty years of experience or one year of experience 20 times? You don’t automatically grow; it is a process an effort. The best teaching part of our experience though is the evaluation; do we stop to evaluate our experiences as we grow? We should. When you wake up in the morning challenge yourself with a simple concept, whom am I going to add value to today! This will set a framework of a positive attitude. Another key law is that of CONSISTENCY, which he highlighted as a boring concept. You always want to hear how good you are from other, hearing you being defined as consistent is one of your best compliments. Motivation gets you going but discipline gets you growing! He has a rule of five citing a story of chopping a tree with an axe five swings today. Five swings tomorrow, the next and the next. This is to say that there are five things that you should do everyday related to your purpose. These five things will provide you with a focused result, success. They will also lead you to be consistent in your daily life. As an author his rule of five for each day is: read; think; file, ask questions; and write which he does each and every day including holidays and vacation days. His final rule covered in the presentation was the rule of ENVIRONMENT – your surroundings must be conducive to growth. People are your most appreciable asset, what are you doing to grow them in your work place. Consistent from what we heard from Lou Holtz – attitude, focus on the now, and grow. What a great set of principles and concepts from both. I hope my sharing this with you spreads the word and encourages you to identify your attitude, live in the now and consistently strive to grow. This will make you a better person and have a positive impact and all you come in contact with. 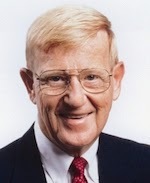 At the MGMA Annual Conference, AC, Lou Holtz the hall of fame Football coach of schools such as Arkansas, Notre Dame, and South Carolina gave the Opening Key Note address. What a great presentation. He talked about a five-part plan built around the idea that “titles are from above, leaders are from below!” What a concept! Attitude – have fun and add value to your self and your practice. Passion to succeed – to win in his world, your definition of success is yours but you must have a passion for it. Focus on your purpose – we are individuals but in the world we are a team, one that needs each other to achieve our purpose. Make sure you are growing and not dying, we need something to hope for. Make good choices, help your children make good choices (your fellow employees make good choices). Throughout his presentation he offered stories to support each of these key points – awesome for an 83 year old who was up and on TV until 3 AM Eastern time and spoke to us at 3 PM Pacific time! Above all – in the football vernacular – do not attack the performer, attack the performance! Very glad to have had the opportunity to hear him!